Inbound Transaction Administration & Monitoring tool helps to ensure data sent from Mobile application to backend SAP system are tracked and posted properly inorder to preserve data integrity. Inbound Transaction Administration & Monitoring tool can be used for Error Handling or regular transaction processing. this tool supports a hybrid mode of asynchronous transaction processing with synchronous transaction processing based on object types is supported. 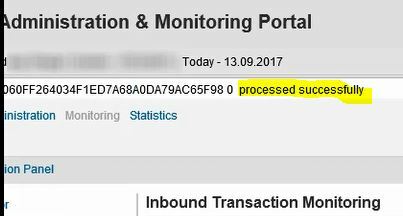 Any error occurred in posting of Mobile transaction (data sent from Agentry Mobile application) due to the data content or the state of the backend (say object is locked within SAP) is recorded in the Inbound Queue. Inbound queue can be configured to record all the incoming Mobile transactions irrespective of being valid or contain errorous data. Incase of errorous data, the respective object (say WorkOrder object in SAP Work Manager application) is locked and respective transactions on that object are hold in the queue. This error is also sent to Agentry Mobile application during the transmit and is visible on the Error tab of respective objects screen (example: Error tab on Work Order overview will display the error message associated to Work order in SAP Work Manager Agentry Application, A lock icon also appears in the list screen). 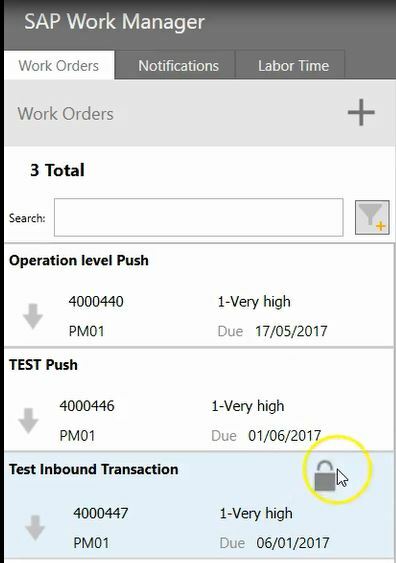 Lets cover the Inbound Queue error handling and transaction re-processing with Work order edit example by generating an error in SAP Work Manager 6.4 application. Following video covers the use case scenario end to end i.e. Validating the updates in SAP Backend & Agentry Mobile application.